A few years ago when we were living in Paris I saw some really amazing window displays and I’ve always wanted to make some party decorations inspired by them. Last week we gave it a go and loved how they turned out. 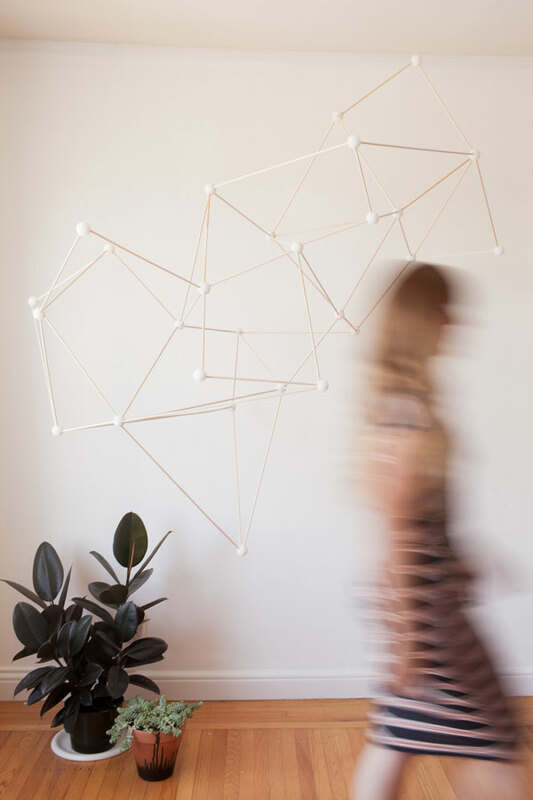 This geometric installation would be so awesome hanging above tables for a wedding or in a large loft space. They are so elegant and beautiful. They would even make a really great photobooth backdrop. 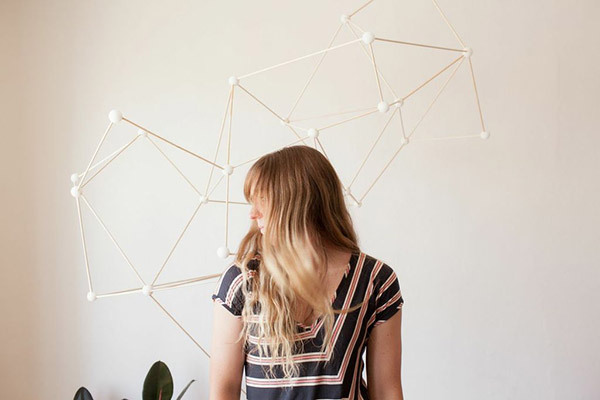 The best part: they are really inexpensive and simple to make and have such a big impact. I kind of want to make one to keep in my office above my desk. See full instructions below. Step 1: Cut the dowels down to about 2 ½ feet long. 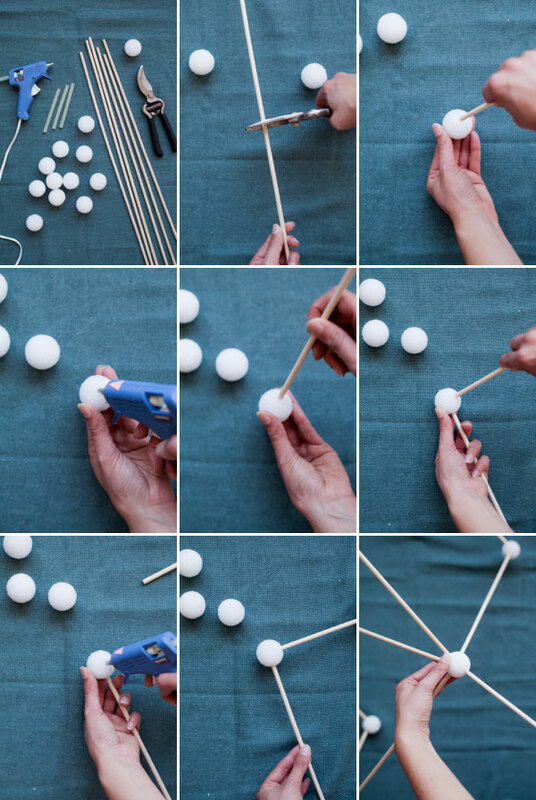 Step 2: Poke the first dowel into a styrofoam ball. Step 3: Remove the dowel and add a little bit of glue to the hole you created. Step 4: Continue adding dowels and balls in any way you’d like. It will build a unique shape. Step 5: Hang from the ceiling with string. Ooo, I love this idea! 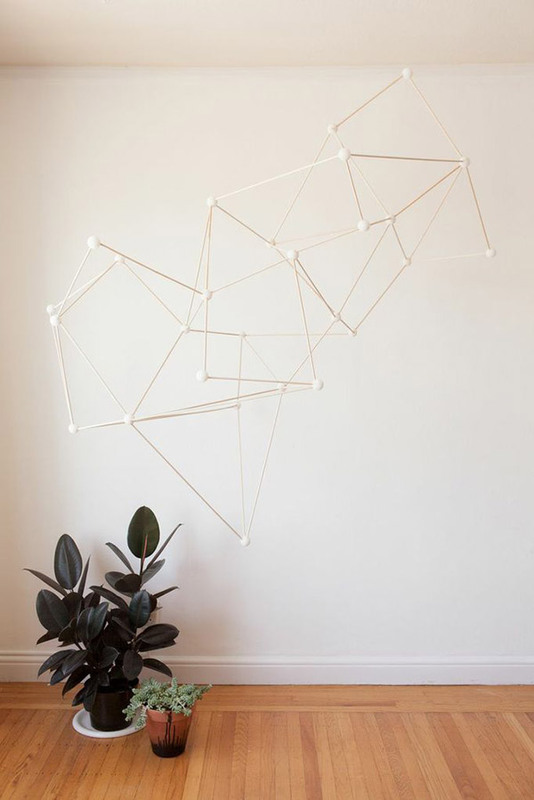 I’ve been looking for ways to jazz up a rather ugly overhead light fixture (which, as a renter, I have neither the right or the funds to change), and I think this might be the perfect way to do it. Thank you! Arnold Goron for Paris Isabel Marant store. Recognized them instantly! Love this! So easy and beautiful! I was actually thinking of making myself a display of these too. Excellent work; love the ideas on your blog! 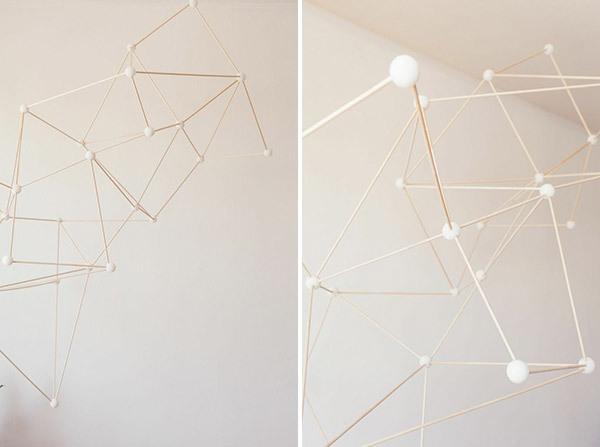 This can also work in small as a sculpture or similar with bold colors. this is brilliant! i looks easy to do.. I’m excited to try this one. More amazing ideas! This might be a fun base to add some wishes and pictures at a party or celebration as well. LOVE! OH that’s fun! And so easy to make! These are pretty cool although they do remind me just a little of the compound models in chemistry lessons! this is really cool. would be a great sculpture project to do with my 8th grade art class next years. I’m envisioning it in a hot pink! Thanks for sharing = ). You can make a mini fun and edible version with toothpicks and mini-marshmellows (or pieces of fruit or veggies, I suppose, to be healthier…) too. I love the simplicity of it!